If you’re looking to secure a residence at Union Green, this is your very last chance. The development has almost sold out. The Garden Terraces are the final release. After these 26 residences go, there’s nothing left. All of the Garden Terraces have lanais so you can make the most of their outlook onto The Green, Union Green’s central courtyard. 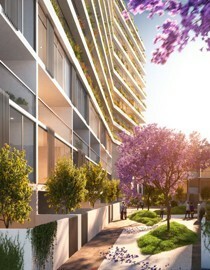 Some units even feature expansive private outdoor gardens at the rear. Choose between 1 bedroom + study and 2 bedroom options – some even have private courtyards out the back. Starting at a very affordable $640,000, one thing is for certain, they won’t last long. Check out the high quality fittings and layouts available by visiting our Display Suite. It’s open from 2pm-4pm, 7 days a week, at 39 Union Street. Or give our team a call on 0800 227 377 to schedule a private viewing. But don’t delay, demand is high.